The former NY legend, Georgia Tech star and NBA All-Star is expected to coach at this NAIA HBCU. 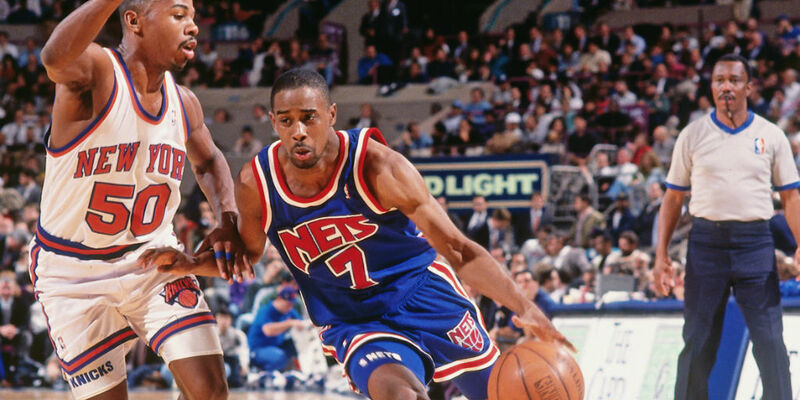 Once upon a time, Kenny Anderson one of the most sought-after high school players in America. Now it appears he’ll be doing the recruiting as he is expected to take over as head coach at an HBCU. Anderson will be named the next basketball coach at Fisk University, according to The Shadow League. Fisk is an HBCU in Nashville, TN that plays basketball at the NAIA level. The announcement is expected to take place on September 10.
during those years. He would go on to be drafted second overall behind Larry Johnson in 1991 by the New Jersey Nets. He played 14 season in the NBA. Anderson’s hire at Fisk would be yet another in a recent string of former NBA players taking jobs at HBCUs. Two years ago Darrell Walker showed up at Clark Atlanta and led the team to back-to-back D2 NCAA Tournament appearances before leaving for Arkansas-Little Rock this spring. He was replaced by George Lynch, a star at North Carolina and a long-time “glue guy” in the NBA. Former Maryland superstar and NBA veteran Juan Dixon took over at Coppin State last winter after spending a year as women’s basketball coach at UDC.